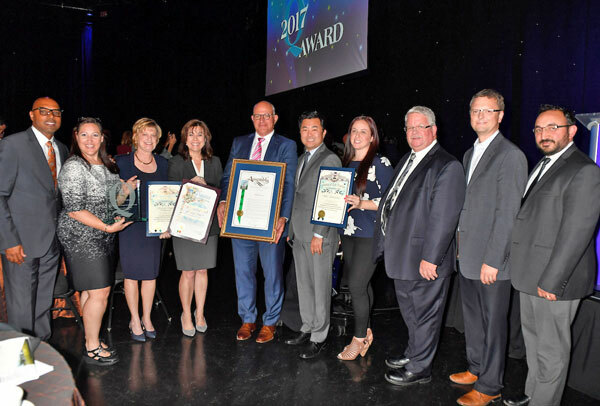 Hollywood, CA – The 2017 Q Award was presented to this year’s recipient NBCUniversal for its new Universal Studios Hollywood™ attraction, “The Wizarding World of Harry Potter™”. 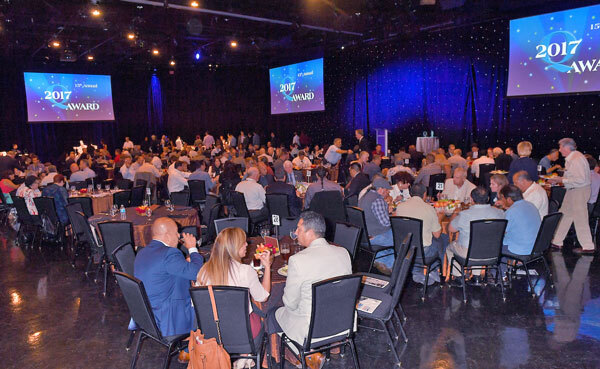 The Alliance for Quality Construction (AQC) event was held on June 15, 2017 at Universal Studios Hollywood. 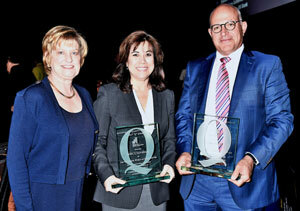 Construction industry luminaries, government officials and Universal Studios’ top brass attended the sold out event. 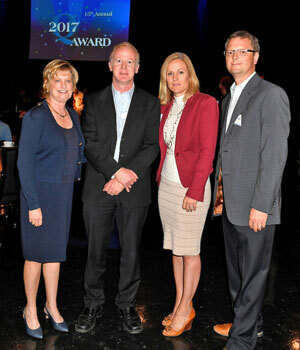 Accepting the award was Karen Irwin, President and COO of Universal Studios Hollywood, and Ed Chuchla, Chief Real Estate Officer of NBCUniversal. 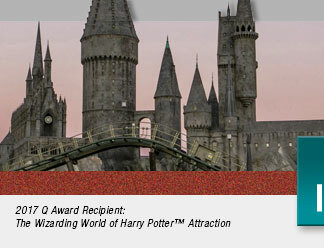 The opening video revealed the many iconic projects deserving of the prestigious Q Award including “The Wizarding World of Harry Potter™” at Universal Studios Hollywood. Emcee Barry Garfield opened the proceedings by asking the many labor and subcontractor representatives to stand, introduce themselves and briefly describe their involvement with the building of the project. Construction industry representatives who individually spoke were proud of their contributions to the final outcome. 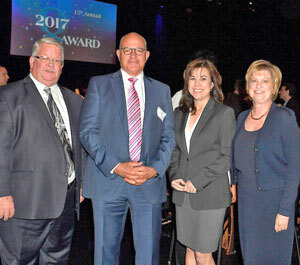 Guests who addressed the crowd included Stephanie Cohen, District Director for L.A.; County Supervisor Shiela Kuehl; Ron Miller, Executive Secretary, Los Angeles/Orange Counties Building & Construction Trades Council; David Ryu, Los Angeles City Councilman District 4; Chris Ritter, Operations Manager, PCL Construction Services; and recipients Ed Chuchla, Chief Real Estate Officer, NBCUniversal; and Karen Irwin, President and COO, Universal Studios Hollywood. 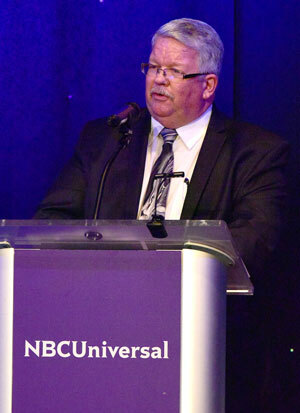 Guests who addressed the crowd included Stephanie Cohen, District Director for L.A.; County Supervisor Shiela Kuehl; Ron Miller, Executive Secretary, Los Angeles/Orange Counties Building & Construction Trades Council; David Ryu, Los Angeles City Councilman District 4; Chris Ritter, Operations Manager, PCL Construction Services; and recipients Ed Chuchla, Chief Real Estate Officer, NBCUniversal; and Karen Irwin,President and COO, Universal Studios Hollywood. The construction began in 2013 and was completed in 2016. It resulted in many union construction jobs and a total of 749,036 trade hours. The finished project is a masterful recreation of the films, including its iconic focal point, Hogwarts castle. 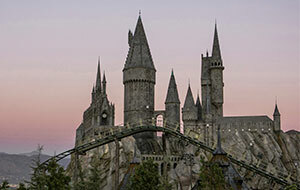 With the arrival of “The Wizarding World of Harry Potter,” Universal Studios Hollywood continues to L.A.’s # 1 tourist destination. 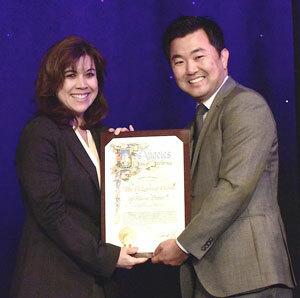 Los Angeles City Councilman David Ryu enthusiastically referred to those in the audience who built this project. “It is always a pleasure being in the most magical place in the city of Los Angeles – and that's Universal Studios Hollywood. But I really want to thank and recognize all the partners, and especially the union members who helped make today possible. Today, I have the honor of recognizing a company that continues to inspire countless fans of all ages,” said Councilman Ryu. 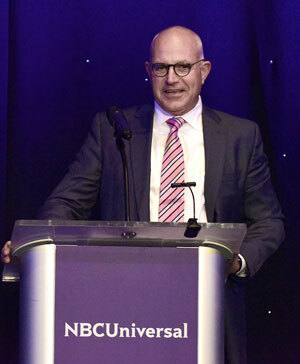 In his speech, NBCUniversal’s Chief Real Estate Officer, Ed Chuchla, beamed with pride to have led this project for NBCUniversal. 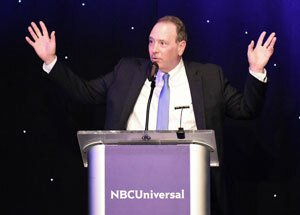 He also mentioned the various ongoing construction projects and future developments planned to be built with union labor at Universal Studios Hollywood. 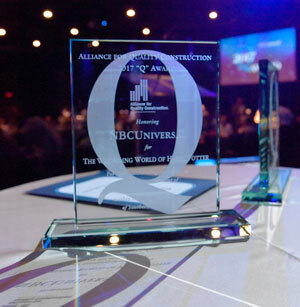 "Let's be really clear, this is an award that's all about flipping the spotlight right back on you, because every tradesman, craftsman and woman sitting in this audience made it happen, right? 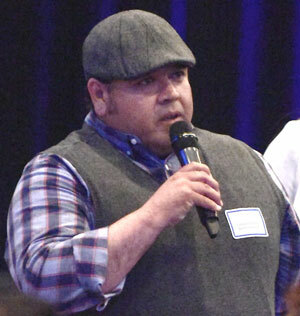 And for that, we're incredibly grateful,” said Chuchla. 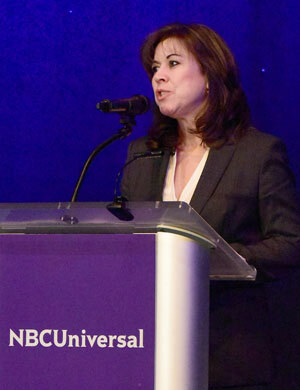 Karen Irwin, President and COO of Universal Studios Hollywood enthusiastically spoke to the audience. She touted the artistry, creativity in design, construction and workmanship necessary to build Universal’s attractions. She thanked the Alliance for Quality Construction for bestowing such an award upon them, and announced other major attractions under way. 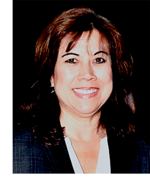 “We look forward to working with your teams for many years to come. Thank you for your commitment and support. We couldn’t do it without you!”.